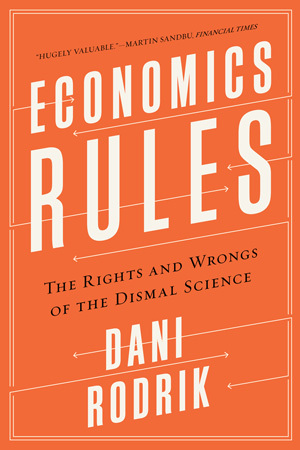 Drawing on the history of the field and his deep experience as a practitioner, Rodrik argues that economics can be a powerful tool that improves the world—but only when economists abandon universal theories and focus on getting the context right. 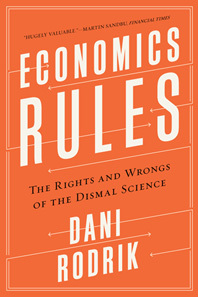 Economics Rules argues that the discipline's much-derided mathematical models are its true strength. Models are the tools that make economics a science. Too often, however, economists mistake a model for the model that applies everywhere and at all times. In six chapters that trace his discipline from Adam Smith to present-day work on globalization, Rodrik shows how diverse situations call for different models. Each model tells a partial story about how the world works. These stories offer wide-ranging, and sometimes contradictory, lessons—just as children’s fables offer diverse morals. The 2008 collapse of Lehman Brothers challenged many economists' deepest assumptions about free markets. Rodrik reveals that economists' model toolkit is much richer than these free-market models. With pragmatic model selection, economists can develop successful antipoverty programs in Mexico, growth strategies in Africa, and intelligent remedies for domestic inequality.